A chromolithograph of Van Eyck's Adoration of the Lamb by C Schultz, published 1868 by Hangard-Mauge, for the Arundel Society. 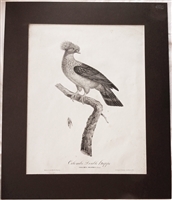 A very scarce engraving by J B Michel, published 1777 by John Boydell, of Tenier's Kitchen. 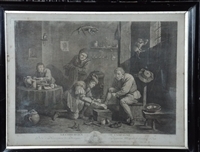 This listing is for a rare original 1747 mezzotint by Thomas Major after David Teniers entitled 'The Country Surgeon'. A fine copper engraving showing a Country Surgeon, tending the wounded foot of a peasant. Engraved by Gérard Audran (1640-1703), this engraving was executed in 1693 and was based on the fresco, La gloire des Bienheureux, by Pierre Mignard (1612-1695) designed for the church of the Val de Grace, Paris. This engraving would have been the centre of the ceiling with other prints depicting the outer parts of the ceiling designed to fit around it. 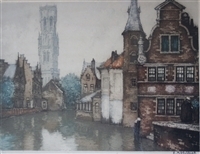 & Ives, New York, entitled 'The Deacon's Mare'. pencil numbered 27/350 on lower left. A large signed engraving of the interior of Bristol Cathedral by Charles Bird, November 1892, published by Frost & Reeds of 8 Clare Street, Bristol. 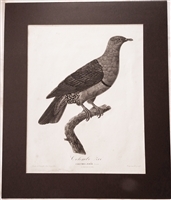 A stipple engraving entitled 'The Evening', after William Hamilton, engraved by Francesco Bartolozzi, 1790.